Italian translation services are something you may have to look for, if you wish to take your business to Italy or Switzerland. A Romance language derived from Latin, Italian is spoken by more than 63 million people in almost 30 countries across the world. Registering your business, getting the necessary permits and licenses, finding a place for your business, and getting in touch with investors, are a few things you will have to do while expanding your business to Italy or Switzerland. Nevertheless, you will also have to localize your brand and make it easier for your new target audience to accept it as one of their own. Hiring an Italian professional translation service would be the easiest way to do this. If you aren’t very fluent in speaking Italian, you may need an interpreter and a translator to help you communicate with your new target audience. A reputed Italian translation company can provide you with both. Look for an Italian document translation service that offers 24 hours services and caters to your urgent translation needs. Find out if they offer next day and same day services. 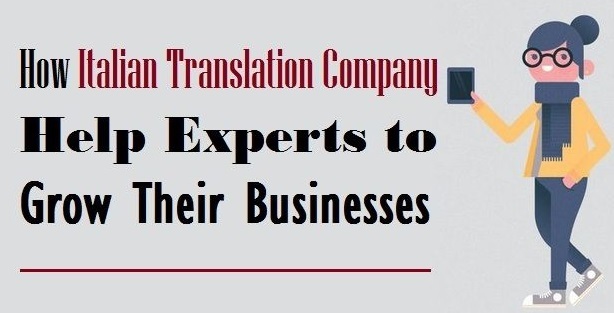 Go with a company that offers high-quality, accurate translation in a cheap and reliable way. You can compare a few such services before finalizing your decision. Make sure the company you choose offers different types of Italian translation such as medical translation, legal translation, academic translation, and Italian certificate translation. They should be able to accept audio and video files in various formats such as MP3, MP4, WMV, AIF, M4A, MOV, AVI, VOB, AMR, WMA, OGG, and WAV. 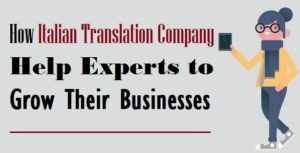 Decide on a certified translation company that has expert linguists who can understand the context of your content and help you communicate your message in the most understandable and intelligible manner. Rephraserz is the name that should come to your mind if you are looking for some of the best Italian Translation Services worldwide.We have been providing high-quality and accurate translation services for various kinds of business, across industries.